This article is 864 days old. 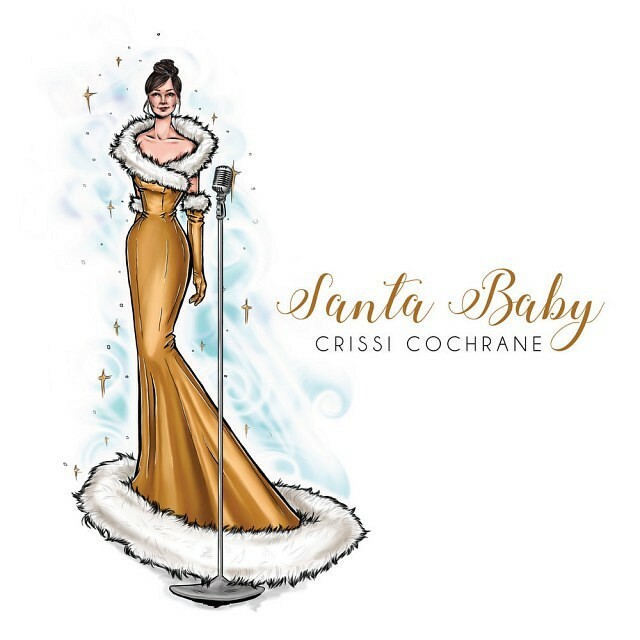 Local pop/soul singer-songwriter Crissi Cochrane’s latest musical offering comes just in time for the Christmas Season. The three-song EP was recorded, produced, mixed and mastered independently by Crissi, the EP features her arrangements of “Santa Baby”, originally performed by the alluring Eartha Kitt, “What Do The Lonely Do at Christmas”, a Motown gem from The Emotions, and an intimate solo version of “The Christmas Song”, the sentimental classic by Nat King Cole. As an alternative to CDs, the EP will be available this Christmas as a postcard with a digital download of the songs in your choice of high-quality format. Featuring cover art by local artist Christy Litster, the postcard is an eco-friendly way to share new music without the packaging of CDs. Postcards are be available at ShopEco and Dr. Disc, and can be ordered at CrissiCochrane.com. Online, the EP is available on Bandcamp, YouTube, and Soundcloud, and will soon be available on iTunes, Spotify, and all digital streaming platforms. Crissi will celebrate the release of the new EP at Merry Christmas Baby, a holiday show with musician Soul Brother Mike and poet Vanessa Shields at Glass Monkey Studios on Friday, December 16th. Tickets are $20, available now by emailing [email protected].com.